Keep your keys handy by hooking them to your belt, pants loop or backpack. 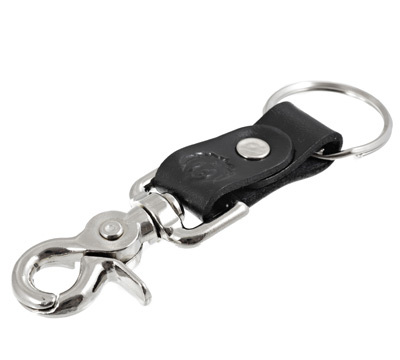 The key chain includes a split key ring and a heavy-duty, spring-loaded hook that makes it easy to attach to any mounting point for security and convenience. Hand crafted from top grade saddle leather and features nickel coated solid brass hardware. 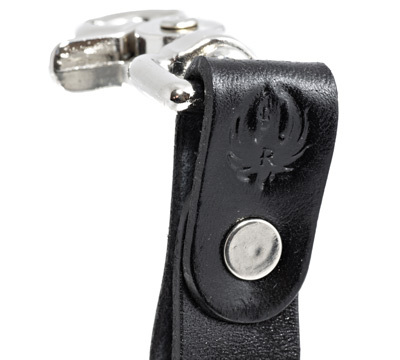 Key chain includes the Ruger eagle logo. Available in black only. Built for a lifetime of use in the USA by Triple K.